Finding the sweet spots of the wild west while exploring the sweetness of the whole world. Busy Bee Loves Her Tea! So ready for summer...and even its intolerably hot temps. Since I am validating my "Busy Bee" status, I thought it appropriate to share some delicious recipes that use honey in them. This one is so dandy. Says "welcome summer" all over it, doesn't it? Will share another amazing delight with honey tomorrow! So, this is me. Right now. 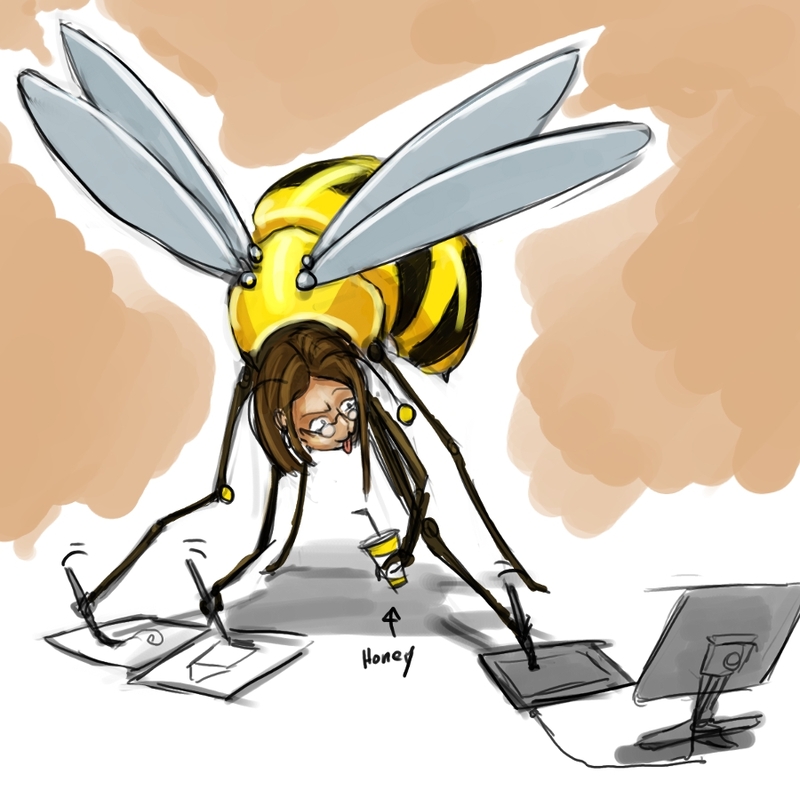 Busy Bee. I am just so busy with my day job that my hobby job of The Bakery Traveler has been on hold. I will be sharing wonderful worldly bakery adventures and treats very soon! Honestly I cannot wait! Lots of sweetness on its way from me to you. Summer is on its way, too, and that is a great thing for bee like me. We all know the old adage, "April showers bring May flowers." For some reason, this has me thinking of weddings! Perhaps my mind is focusing on weddings and wedding showers as I have a friend who is getting married soon. So I thought April would be a wonderful time to showcase some wonderful international wedding treats. The above is a photo of a traditional Ukrainian wedding bread called Korovai. There are so many gorgeous photos of this bread. Simply gorgeous. Will travel for baked goods. The Bakery Traveler World Tour (BTWT) - 196 known independent countries, wanderlust baking, rock star/armchair style. It all happens right here. The Bakery Traveler is copyrighted by the author and cannot be copied without permission. Watermark theme. Powered by Blogger.